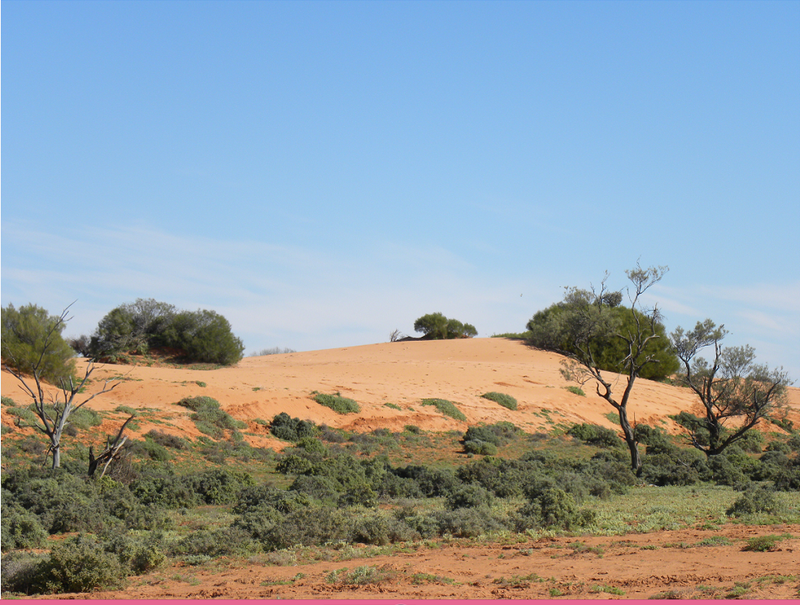 The expedition to Lake Torrens National Park, VKFF-278, was a highlight of the trip for me as I am certain it was for the others. It is remote. 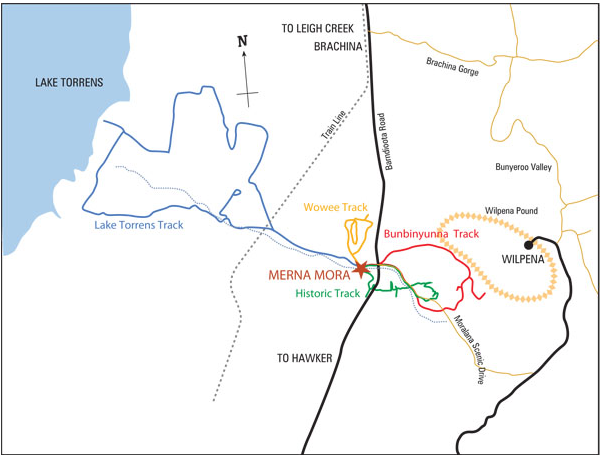 A 4×4 track extends to the Lake from Merna Mora station and the round trip is about 90 kilometres and a ‘four to six hour experience’ according to the station brochure. Two of our three vehicles made the trip. The track was a fairly easy drive, although there were some slippery sections as a result of the rain. The owners also checked out the early stages of the track before giving permission for us to leave. 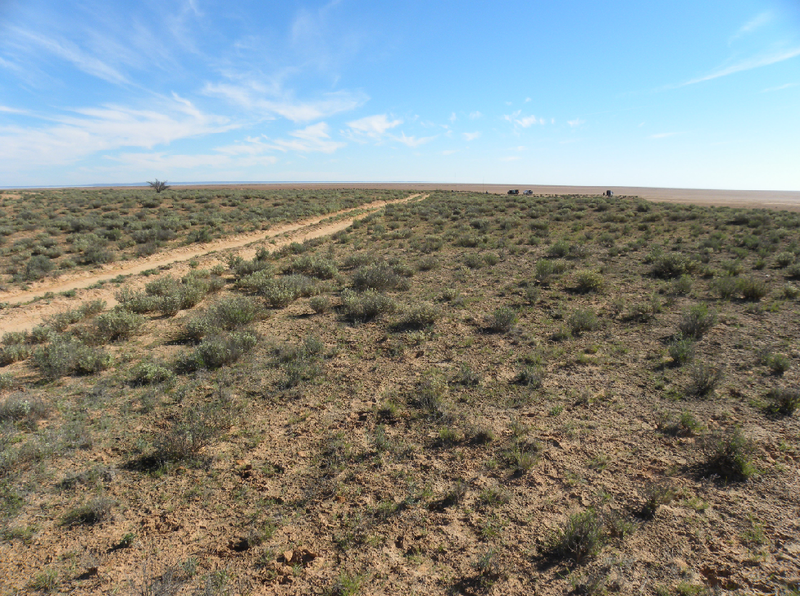 It was about 10:15 when we were given a clearance to depart and the usual drive at the beginning of the track though the Moralana Creek was substituted with another drier station track. The station owners briefed us about their expectations as to how we should treat the track, particularly since the owner was suffering a painful shoulder injury as a result of a motor bike accident after crashing on a damaged station track. 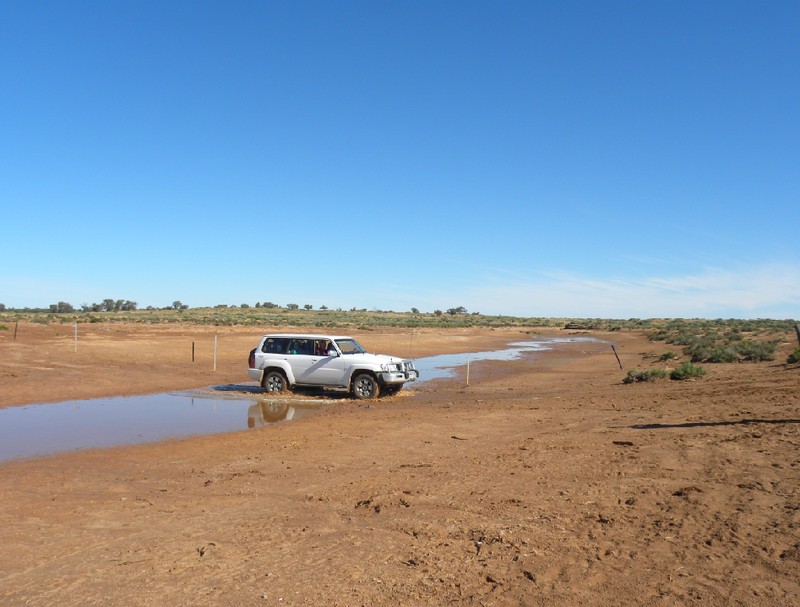 We were instructed not to drive through muddy ponds but straddle the track by driving down the middle and one side, or travelling on a loop around the damage. It was my job to drive the lead vehicle. Most of the time the track was easy to follow, but we did obtain advice about one section via CB radio to the station. It is a stunning landscape. Here is my log. I worked 22 stations, not enough to qualify the Park for the WWFF award. I appreciated all the callers. Thanks for your efforts. 03:45 10.130 VK3PF, Peter; VK5WG, Nev; VK5KFB, Rod; 10.135 VK7AN, Rob; 14.305 at 04:06 and Rob again at 04:12 VK4AAC/P5, on Kangaroo Island; VK4GSF, George at Toowoomba; 14.310 ZL4KD, Ken; 7.098 VK3PMG, Mick; VK5MBD, Bill; VK5KFB, Rod; VK6BSA/M, Mark; 7.100 VK3YSP/P Joe and VK3FOWL/P Julie at the Melbourne Museum; VK3MCD/P3, Brian on VK3/VG-015; VK2IO/P2, Gerard on VK2/CT-001; 7.105, VK5LY, Larry (I was delighted to work Larry who was the first to activate this Park) VK5ZAR, Arno; VK5FMID, Brian; VK5JK, Jeff; VK1DI/P1, Ian in VKFF-857 and VK3AAR, Andrew.